Your employees can download our mobile alerting app from either the Google Play or Apple app stores and install it on their tablet or smartphone. So long as they are connected to the internet, the app will push notifications to their devices and keep them up-to-date with your important corporate news, no matter where they are or what they are doing. The phone notification software works differently to SMS notifications where the user requires a mobile phone connection only. How does the DeskAlerts software send messages to applications? An administrator is able to create messages in the DeskAlerts user dashboard which is available from a special address on your company’s Internet or Intranet site. When creating messages, they have the option of selecting to deliver to employees via push notification which will send to devices with the app installed. Alerts can be simultaneously sent to employees’ desktop computers. The push notifications can be used to display text, pictures, and even video. With the DeskAlerts Mobile App you can send messages in different formats including text, pictures and even video content. 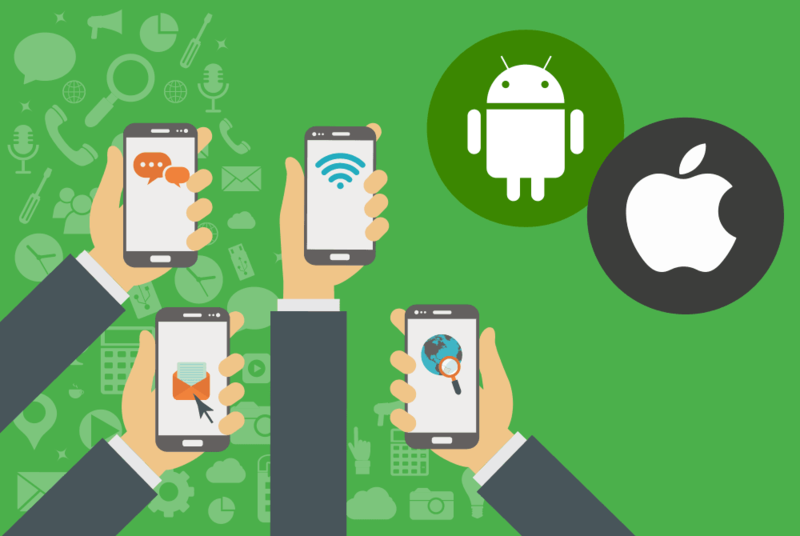 DeskAlerts has developed mobile communication applications that let you stay connected to your staff and keep them up-to-date with what’s going on in your company by pushing your DeskAlerts notifications straight to their devices. Using our standard application for mobile devices your employees can receive common push notifications or emergency alerts, polls, quizzes, surveys, video messages, internal newsletters, event RSVPs, RSS feeds and more. Using our One Click app for Emergency you can send special emergency alerts which will be then sent to your employees either they are in the field of work or not and also getting delivery reports during the process. You are able to monitor how many employees received your mobile messages through the Statistics Module. You can generate a report featuring this data that shows which alerts have been received and confirmed. Alert adapts to the screen and will be easily visible: both the text and the picture, the title and logo, as well as the confirmation button. We also have a unique application for sending instant emergency notifications. It is created for publishers due to its ability to send notifications. Your messages can be sent instantly in a couple of clicks and will be delivered to common DeskAlerts applications on the phones, tablets or desktops as well. To do this, you can have pre-defined shortcuts located in a convenient place. You can also set the color code of the messages you send such that no recipient misses them. This application is available for IOS, and Android devices. DeskAlerts can even be integrated with other business communication apps such as Skype for Business or Slack due to its customizable qualities and API integration. You can integrate with the Active Directory settings over an unlimited number of domains. Link employees to content found on web sites. Sending them the direct link saves time. Push notifications to iPhones, Android phones. A powerful function that lets you gather data on messages that were sent and received. Target employees per department, team, or individual. If there is no Internet and a person outside the Intranet, then he will receive the message later when he will be on the network. An alternative solution is to send SMS. To receive SMS it is enough to have just a mobile connection. We also provide this opportunity at the same time with other tools.